DevOps was easy with websites, but what about database AND data? Today, I explain how to deploy a database and data through Azure DevOps Pipelines. When it comes to websites, it's easy to build and deploy in an automated fashion: Check your code in, create the build process, run the website through your pipeline, transform the web.configs (or app.settings), and you are on your way. It's only after the fact you realize you didn't deploy the database. Databases have always been a problem when automating deploys. Back in the 90's, it took a little bit of effort to deploy a website with a database (mainly because it was all manual). How do you automate the process of changing the structure of a database in a DevOps world? What if you need data as well as a schema change? 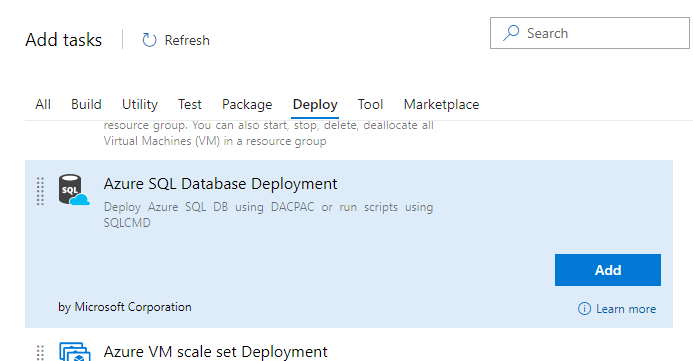 In today's post, I'll go through a process of how to deploy a database to a database server as well as send it through the Azure DevOps Pipeline. Before we move forward with a pipeline discussion, we need to understand the SQL Server world a bit. There are two types of "snapshotting" you can do with a SQL Server database: DACPAC and BACPAC. A BACPAC file is a snapshot of the database's structure, functionality, AND data. 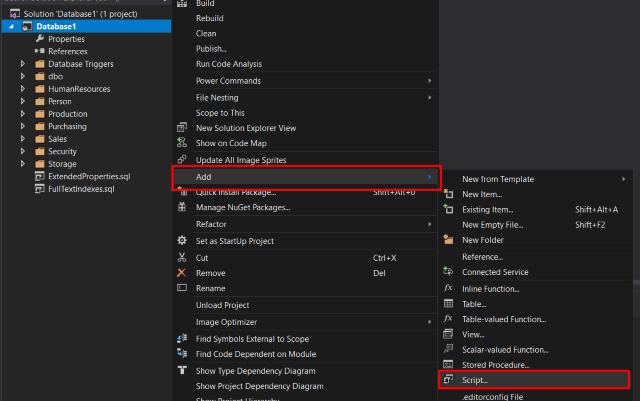 When you create a database project in Visual Studio, it automatically generates a DACPAC for deployment. That's out-of-the-box functionality. You don't need to worry about it. While I can appreciate how BACPACs work, for our specific project, I felt there wasn't a need for it. As mentioned, you first need a Database project. You can either add it to an existing solution (which we did) or make it a standalone project/solution. Under Installed, there should be a SQL Server category. Clicking on it shows the SQL Server Database Project on the right. In the context menu, select "Import..." and pick Database. Enter your connection details by pressing the "Select Connection..." button (usually, I just select the database and click Start). After showing the details of the import, click Finish. You now have the entire database schema in your project. Not only that, but you also have a DACPAC. When you build your database project, guess what? It generates it for you every time. When you check your code into VSTS, the build server can build the project just like a solution and create the DACPAC for distribution to any of your database environments. The database structure can be modified. (How to) Release the Hounds! Before we get into releasing the DACPAC into the wild, there is one issue we ran into while building our project. We have an on-premise build server and when we check code in, it immediately starts a build. When completed, it deploys it to DEV. In our solution, we had a .NET Core (API) project and Database project in one solution. While running locally, we could open the solution and compile just fine. However, when we built the solution on the server, we ran into errors. After a day or two trying to figure out the issue, we broke down and installed Visual Studio 2017 on the server. As soon as it was done installing, we immediately started a build and it built the solution flawlessly. To perform the database build, you create the build just as you would your web project. The only difference is when you finish building your project, you'll have an additional file (DACPAC) to place into a separate artifact folder. 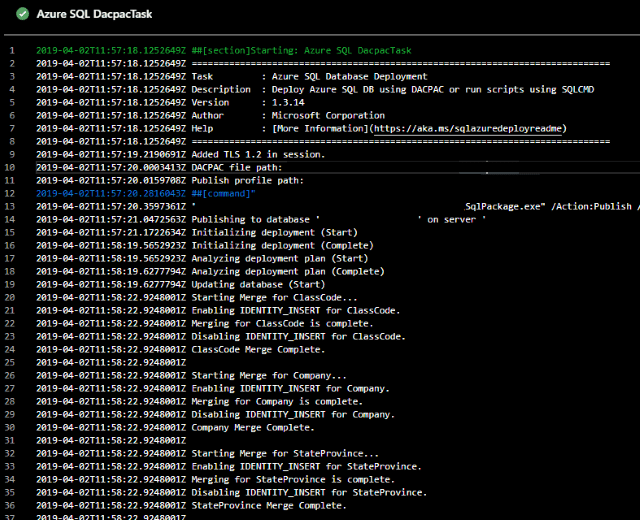 In the release section of the Azure DevOps Pipeline, add an Azure SQL Database Deployment task. Add all of your connection details regarding the destination database into the task and perform the release to an environment. It should modify the database when deployed. Now the hard part. 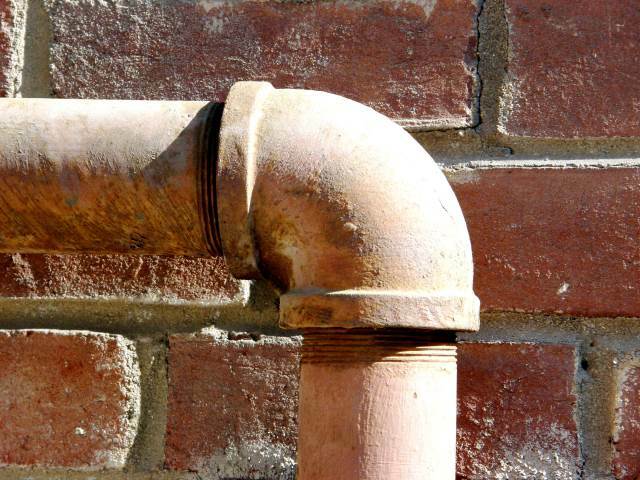 How do you deploy data without ruining existing data? With Database Projects, you get a Pre- and Post-Deployment Scripts.Sql that runs before and after the deployment of a DACPAC, respectively. If your database project doesn't have one, it's easy to add them. An add dialog will appear. Select either a Pre- or Post Deployment Script. Name it (optionally) and click Add. For now, I'm using a post-deployment script. After all of these tables are modified, they are in a state ready to be populated and I could run any script I want. If you look at the script, you'll notice the comment. DON'T DELETE IT! It seems when deploying the DACPAC, it looks for this comment. If the comment is not there, it will not run. NOTE: Another issue I ran into that I didn't realize. This Pre or Post Deployment Script HAS to run in SQLCMD mode. By default, this option is off. When editing this file, turn on SQLCMD mode. So, what script do we run after the DACPAC is deployed? After thinking about this for a while, I came up with the following requirements. I want to add data to tables specifically meant for lookup purposes. I won't be touching data tables (unless I want to). If there is an issue with the lookup tables, I would like to run something to reset the table and refill it's appropriate data. I want to be able to add, modify, or delete data at a later time as well. Since the DACPAC stores the structure and functionality of the database, I decided to build a stored procedure called CreateSeedData. The DACPAC packages up everything BUT the data so a stored procedure is bundled up with it. In the stored procedure, we can use a T-SQL MERGE statement which guarantees the state of the table's data. If we are missing a record, the MERGE statement would add it back. 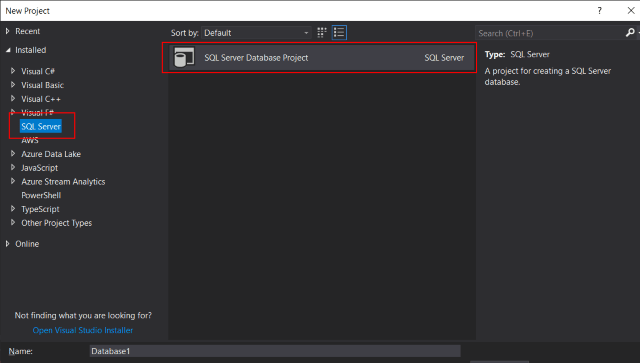 If the lookup tables become corrupted or is missing data, we can run the stored procedure to automatically repopulate the tables without performing a complete deploy again. We can deploy as many times as we like and the structure and lookup tables will remain the same. This allows all of our requirements to be met. The stored procedure contains all of our seed data, but how do we create it? Referring back to 5 Methods of Generating Code, I'll be using a T4 template to create our MERGE statements. // Get the schema data for the table. // Now get the records for the table. // Get the names of the columns. // Get list of non-key fields. //            Services for more information. // Are we on the first record? // Are we on the last record? /* "this" refers to the T4 TextTransformation instance that's producing the output. Write out the records as a MERGE statement. Once you enter the table names in your list (at the top called tableList), press Ctrl-S to save your template and view the .sql file generated underneath it. Even though this is just one table, you can generate a number of MERGE statements based on the table list at the top. Once these are generated, add these statements to your CreateSeedData stored procedure. -- ... and add more merges here. Run this stored procedure so you have it in your database when you perform a compare in the next step. If you make ANY changes to the database, perform a compare to reflect those changes in the Database project. Since we added a stored procedure just now, we'll perform the compare. The dropdown on the left-side is the Source. In the dropdown, Select "Select Source"
The dropdown on the right-side is the Destination. Again, in the dropdown, select "Select Source"
This time, select your database project and click OK. The Compare button will become lit above the Source dropdown. Click the Compare button. This will give you a comparison between the current state of the database and the current state of your database project. If a checkbox is checked, it will create a script to include in your database project. If unchecked, it'll be ignored. In this case, make sure the CreateSeedData is checked so it can be transferred over to the Database project and included in your DACPAC on build. After you select all of your updates, click Update to update your database project. Since we now have a Stored Procedure after updating the database, we need a way to run it. This is where the Script.PostDeployment1.sql comes in. Again, since it's SQLCMD mode, it will only execute one line at a time. This file contains SQL statements that will be appended to the build script. Use SQLCMD syntax to include a file in the post-deployment script. Use SQLCMD syntax to reference a variable in the post-deployment script. I added the last two lines to finish it off. After going through a number of ways to deploy schema AND data, I've come across a lot of errors and how to fix them and want to help my readers by telling them how to avoid them. We had two tables: one containing 54,000 records and another containing 42,000. I know, I know, some may think that's not large, but with SQL Server, shoving 54,000 records through a MERGE command can choke a SQL Server. This is why I created a splitLimit variable. It counts up to 1,000 and then creates a new MERGE statement. We essentially added another stored procedure to seed the remaining records. After getting to ~1,000-1,500, it started working properly which makes sense. If you perform a "Export Data..." in SQL Server, you'll notice the script stops every 1,000 records to process them with a message. It never chokes on batching 1,000 records at a time. If you have to deploy large data, it may make more sense to create a CSV file in your project, include it as content, and perform a BCP (Bulk Copy) to SQL Server on deploy. But keep in mind, this won't be mindful of the records you currently have in the table. At one point, I was generating the Script.PostDeployment1.sql file with a T4. Snazzy, right? The downside to that was when generated the Build Action was always set to "Compile" which generated errors on my local build machine. But since we don't have to worry about that anymore, it's always a good idea to verify the script is set to the right Build Action before committing your changes and deploying. 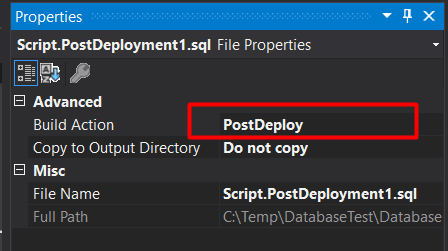 Left-click on the post deployment script. Confirm the Build Action is set to PostDeploy or PreDeploy. This is what gets compiled into the DACPAC when deployed and runs on Pre or Post Deployment. This last thing is a informational item. You may notice in my T4 Script that I have PRINT statements throughout. On deployment, these PRINT statements are executed showing the progression of the script. So if there's an issue on the deploy, you know exactly what statement bombs and where it fails. It's a helpful hint when deploying through Azure. We have deployed using this technique a number of times and it's working quite well. With larger data, we use the BCP command line for deploying the data. Phew! That's a lot to cover, but it is sooooo worth it. Pressing a button to deploy a web site, API, Database, AND Data. How are you deploying your databases and data? Big SQL file? BCP? Um...File Explorer? Post your comments below and let's discuss.